Hello Yelp’s Patriotic Party on the Battleship Iowa! 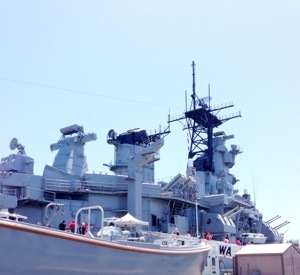 All aboard the Battleship Iowa for a Red, white and blue Yelp Sunday fun day! 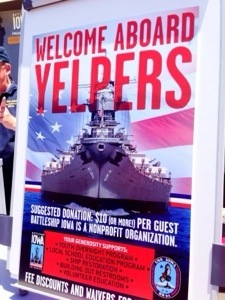 Today my Yelp friends and I enjoyed Yelp’s Patriotic Party aboard the USS Iowa. The Battleship Iowa is a non-profit organization and so this was a party for a cause as Yelpers got to help out the non-profit! Donations from today benefited Battleship Iowa’s youth overnight program, local school education program, ship restoration, build out of restrooms and volunteer education. 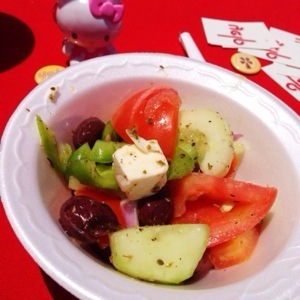 One of the first treats I got to try was a greek salad from Fantastic Cafe. It was a light and refreshing salad with tomatos, bell peppers, tomato and feta cheese. The salad was a good and healthy treat! 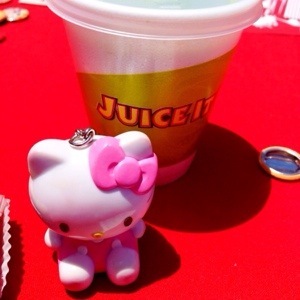 The healthy treats continued on at the Juice It Up booth where we got to try out kale smoothies! I’ve always liked kale and have watched through the years as it became the new “it” salad. I found it so interesting to have it in a drink form. 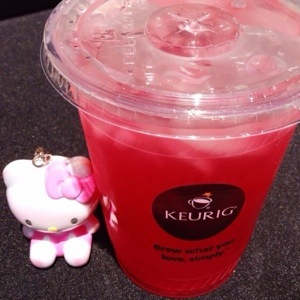 Refreshing drinks were again found when we moved on to the Keurig booth! There were keurig brew machines everywhere for Yelpers to try out various k-cups. I chose to get a pomegrante ice tea! It was perfect for this very warm day! The drinks were a good match for the savory treats that we were offered. We got a nice chicken wrap from Boiler Express. 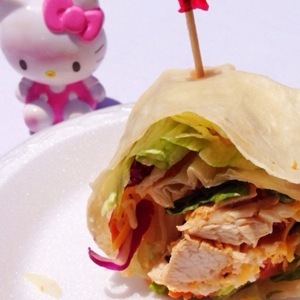 Tortilla wraps filled with chunky, tender chicken and crispy lettuce was given to us. Yogurtland was also present to give us Yelpers some free frozen yogurt! We got to make our own creations with original tart and strawberry flavored yogurt! 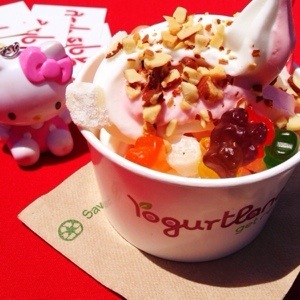 Toppings included gummy bears, mochi, peanuts and strawberries. As if those treats weren’t enough we saw even more as we kept walking towards the end of the ship. 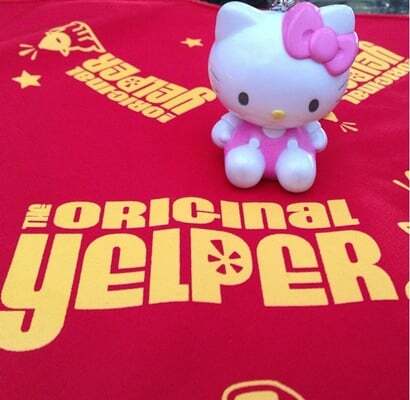 The goodies and treats for all of us Yelpers was abundant during this event! 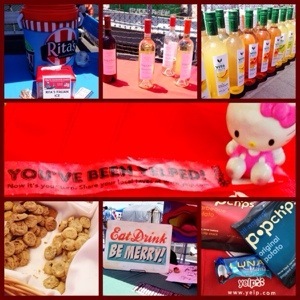 There were magaritas and cosmopolitans from VeeV, wine from Stella Rosa, snacks from PopChips and LunaBar, italian Ice from Rita’s and cookies from Isabella’s cookies! It truly was a Sunday Funday for my friends and I aboard the Battleship Iowa! 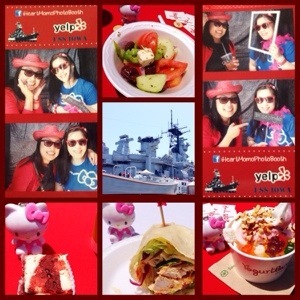 It was nice to see so many Yelpers dressed in red, white and blue all around the ship and even nicer to know that this whole event was helping out the Battleship Iowa. Good friends, good eats and a good cause! I love Yelp! 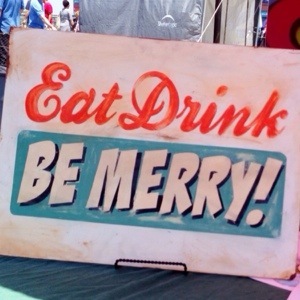 Fore more smiles, please see my recent Yelp Review on Yelp’s Patriotic Party on the Battleship Iowa! 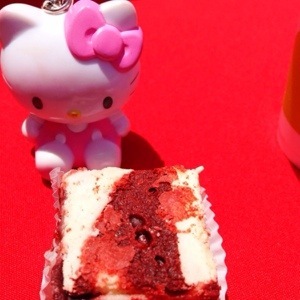 Yummy nothing like eating great food while Hello Kitty is watching :D. That yogurt looks so good, I want.